At Redland City Council our mission is to make a difference every day through the work that we do. We aim to continually improve and strengthen our ability to be an efficient and effective organisation that is more responsive to the needs of our community. Our values support our mission. They are the essence of our identity and provide the guiding principles to our behaviour and the relationships we have with our customers and partners. We support our people to perform at their best. We employ staff through a merit based recruitment process, adhering to equal employment opportunity guidelines and best practice. Our commitment to our employees is outlined in our People Strategy 2017-2020 [PDF 3MB]. It focuses on the key issues affecting our workforce now and in the future as raised by our managers and employees. It is also informed by our Community Plan and Corporate Plan. enabling our people to thrive. The benefits of working for Council are numerous. 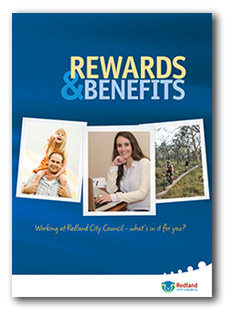 Read more about the benefits of working for Council in our downloadable guide [PDF 2MB].